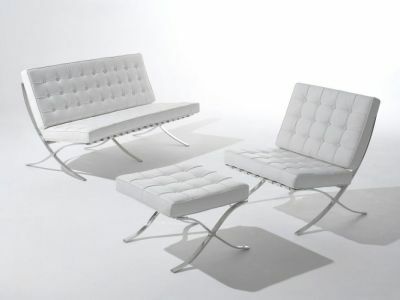 Single and two seat sofas inspired by the classic Miles Van De Rohe design of the 1930's. 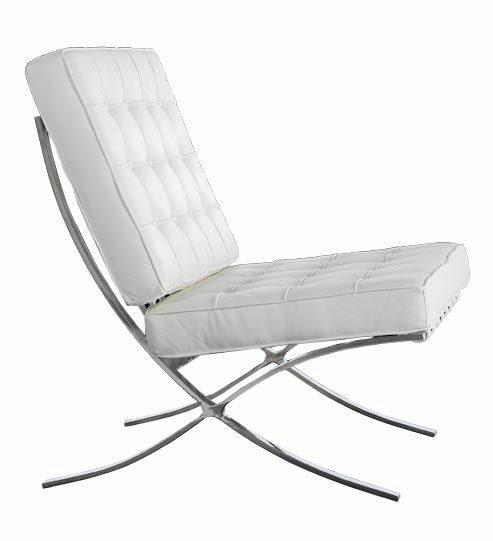 Single, two seater and a foot stool available from stock for a free and fast delivery. 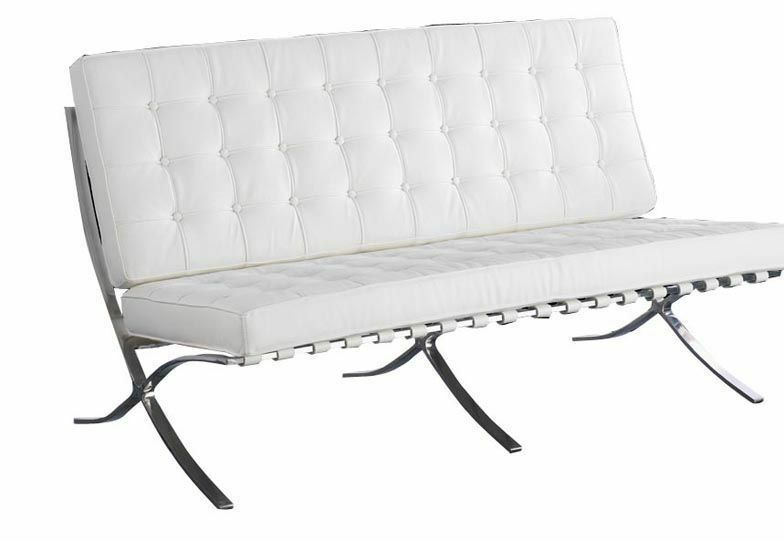 Incredibly popular and stylish design sofa. This sofa offers great value for money and manufactured with a crisp white leather. Held together with a robust shiny chrome frame. Released from stock with a quick delivery.